After the 1972 death of A.B. “Bull” Hancock Jr., his son Seth became president of Claiborne and soon recognized the new realities facing the farm, Hancock’s heirs, and Claiborne’s clients. Seth’s recommendation that Claiborne return to the yearling market soon led to high-quality horses extending Claiborne’s influence into major racing stables throughout the world. Thus, the Bold Reason-Special filly Fairy Bridge was sold to John Magnier and in turn produced Coolmore’s foundation sire, Sadler’s Wells. 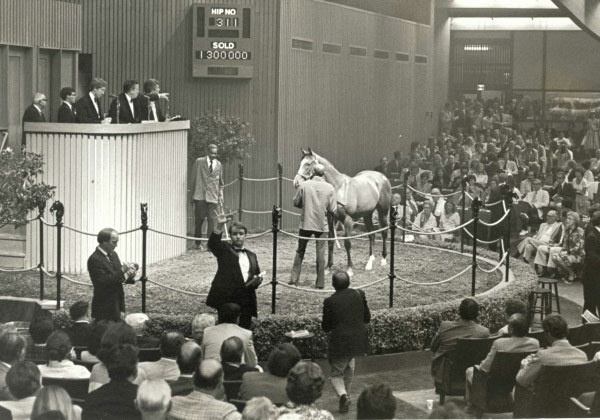 Her younger half-brother Nureyev topped the 1978 Keeneland July Yearling Sale at $1.3 million and became a stakes winner for Stavros Niarchos. Nureyev finished first in each of his three career starts to earn honors as France’s Champion Colt at three and 2nd-highweight at two. In England’s Two Thousand Guineas, Nureyev charged through a wall of horses, seemingly to victory, but was disqualified from the win and placed last for interference. Returned to the U.S. after standing one season in France, Nureyev went on to sire 137 stakes winners, and his two dozen champions included Breeders’ Cup Turf winner Theatrical as well as two-time Breeders’ Cup Mile winner Miesque, in turn dam of the great stallion Kingmambo. In 1987, the year Theatrical won the Turf and Miesque the Mile, Nureyev was seriously injured in a paddock accident and his remarkable recovery earned him nearly as much admiration as his illustrious career as racehorse and sire.